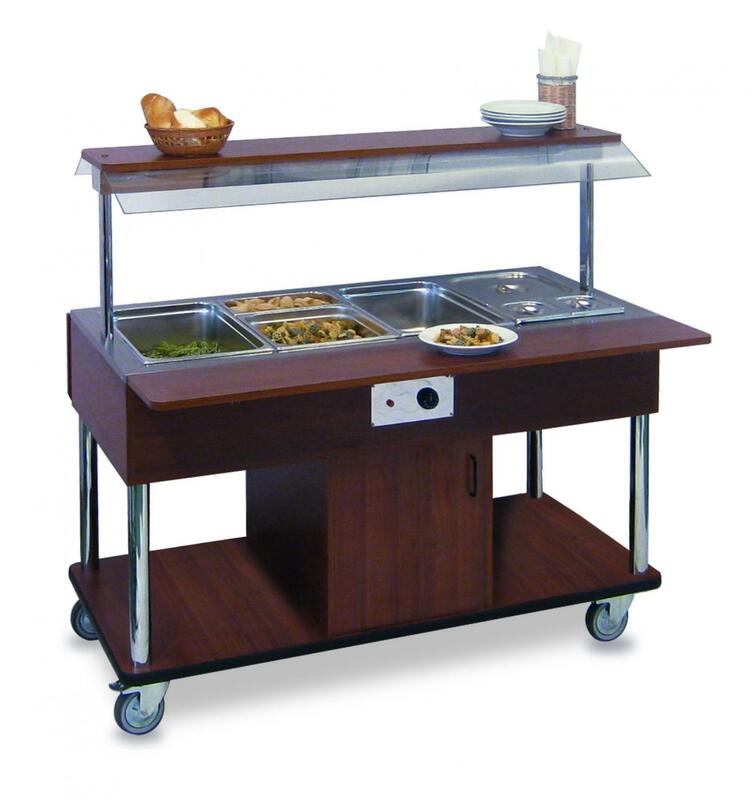 Heated Bain marie buffets with laminated wood structure. 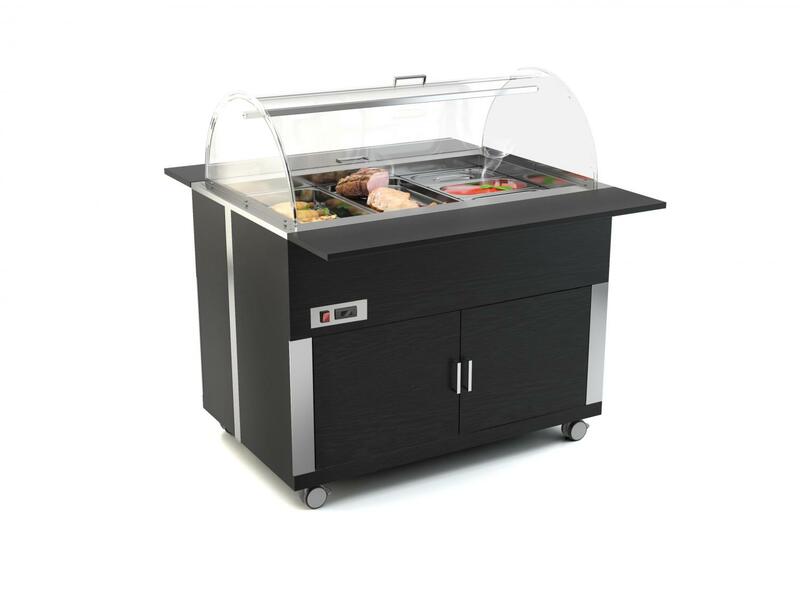 Upper fixed Plexiglass sneezeguard. 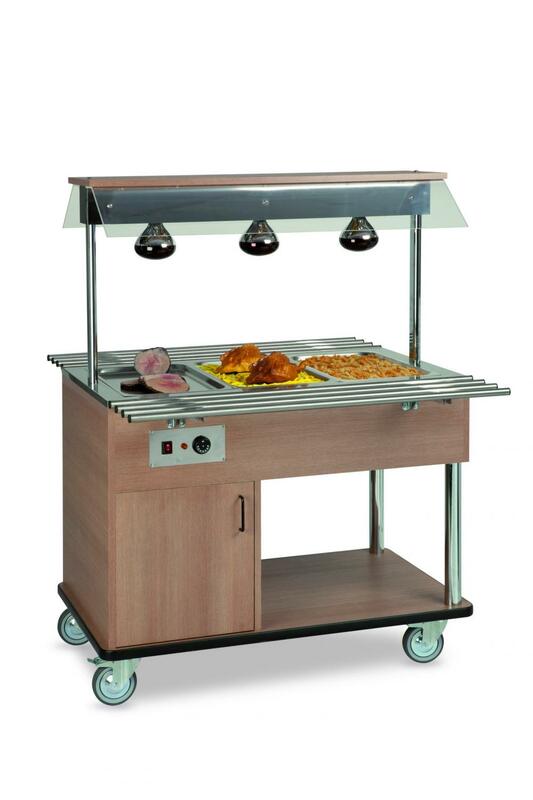 Heated bainmarie buffet with laminated wood structure and halogen lamps with indipendent lighting switch. 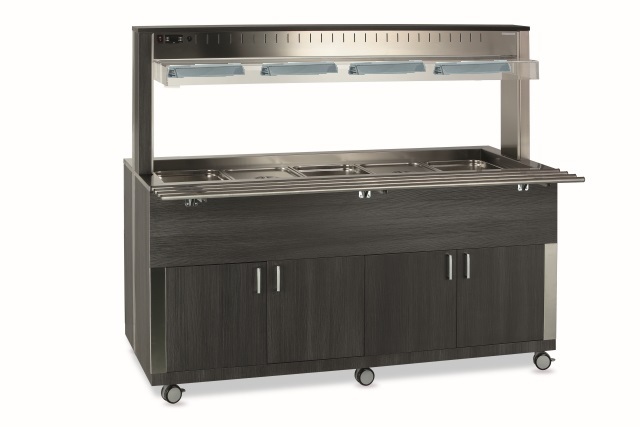 Upper fixed sneezeguard. 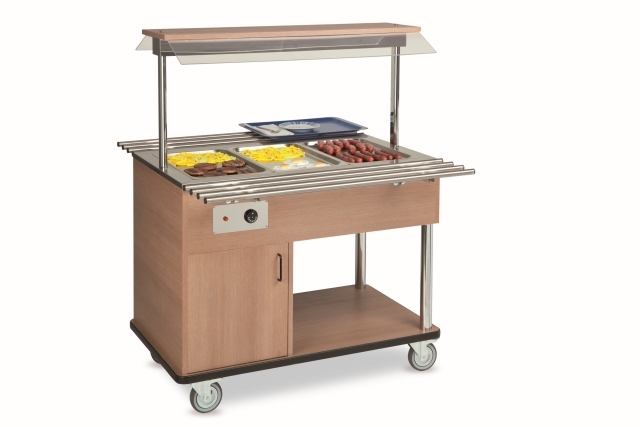 Heated Bain-marie buffets with laminated wood structure for food service with the operator. 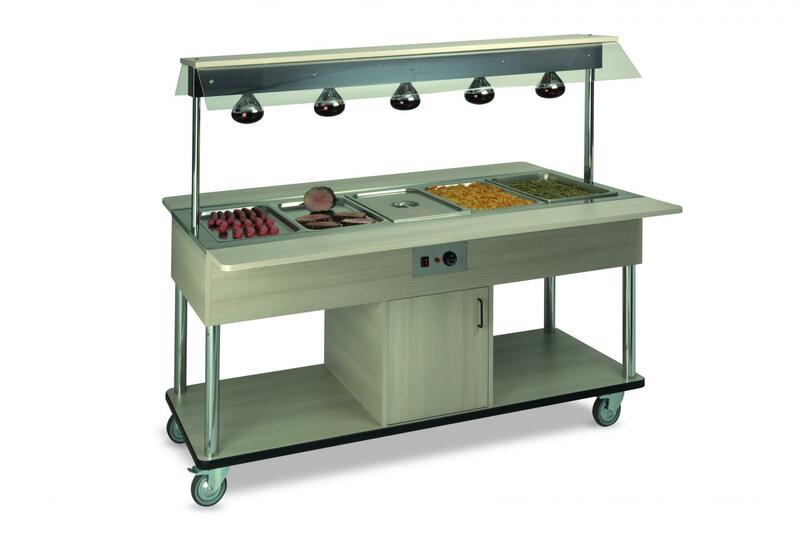 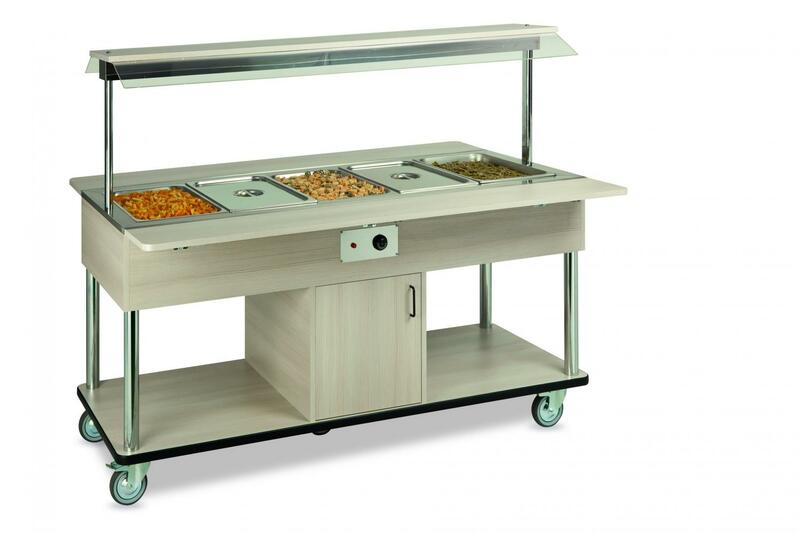 Heated Bain-marie buffet, laminated wood structure or AISI 304 stainless steel structure. 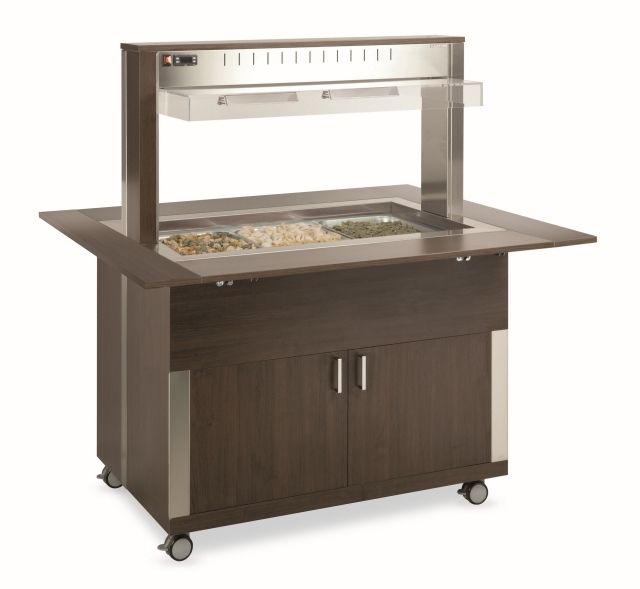 Upper fixed Plexiglass sneezeguard. 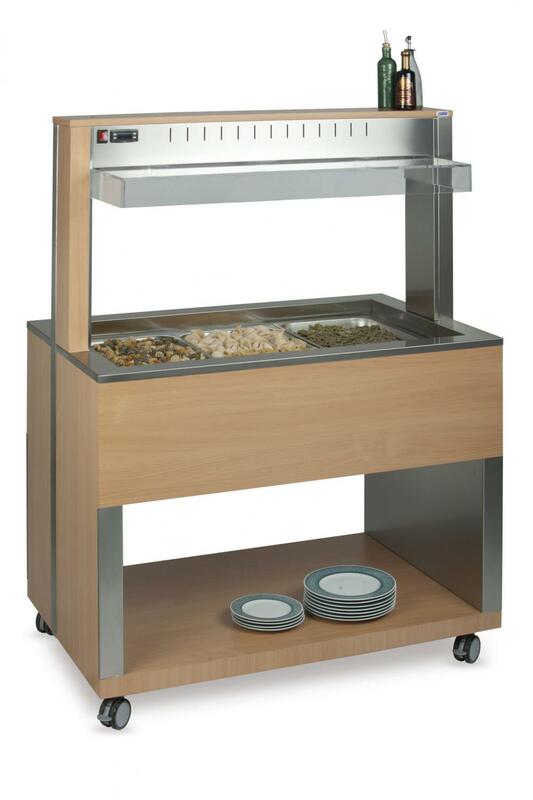 Heated Bain marie buffets with infrared lamps, laminated wood structure or AISI 304 stainless steel structure. 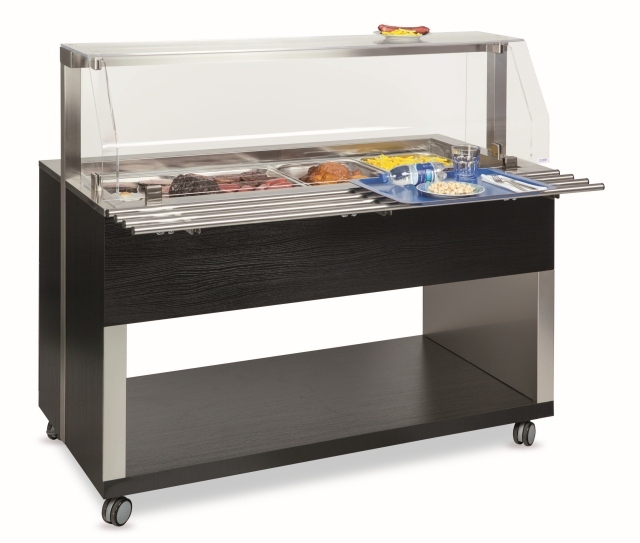 Upper fixed Plexiglass sneezeguard. 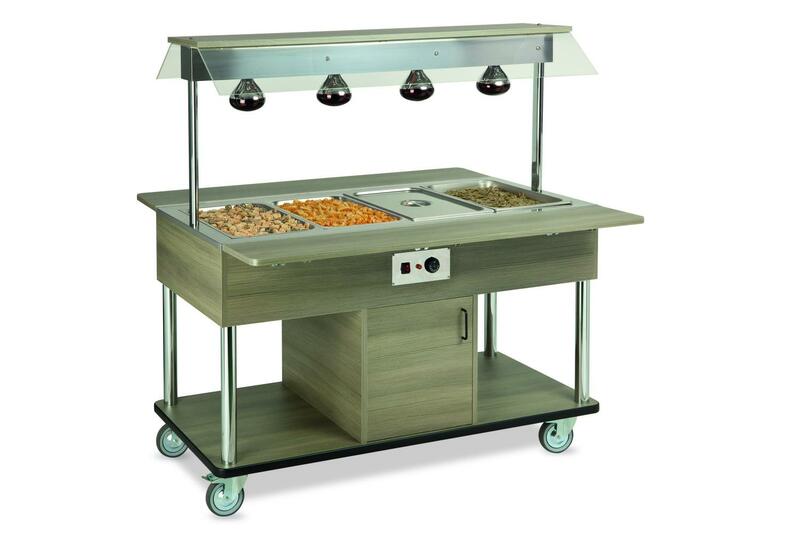 Bain marie heated buffet with laminated wood structure and hemispherical double opening side dome.